Sparkling Emerald Halo engagement ring featues 34 diamonds. There are round diamonds with a total carat weight of 0.42ct set in a Micro Prong setting. 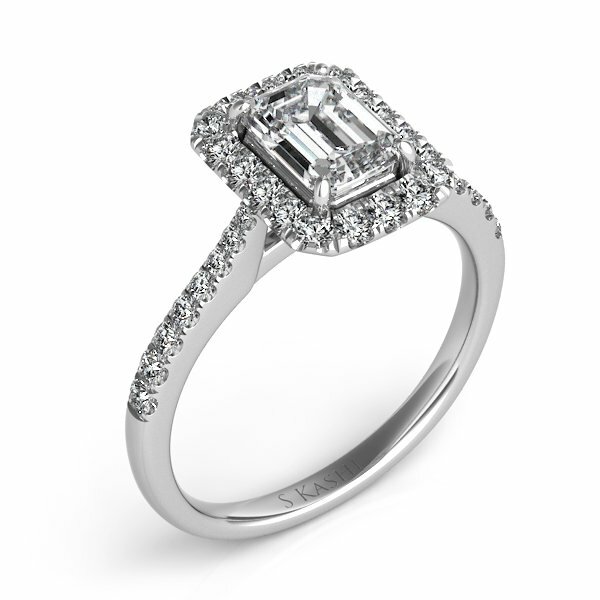 This engagement ring is available in 14K rose gold, yellow gold or white gold and platinum.